Take The Inspiration To WORK From Her | SnL World !!! With October gone just like that there was still no sign of the chilling winter Bangaloren were expecting. It was 7.30 as usual foot path of Indiranagr were crowded with people, dressed in different attire some were window shopping while other bargaining literally killing the street vendor with their un-reasonable prices. 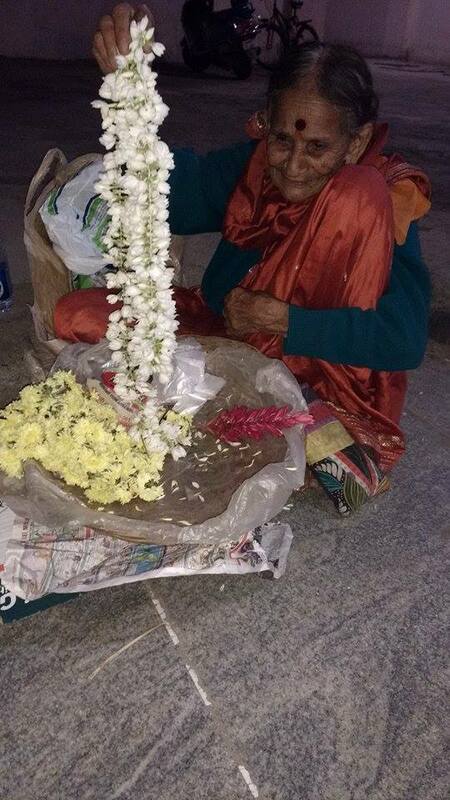 It took me sometime to spot this old lady near the metro station,with straw basket-full of flowers. With wrinkled skin, grayed out hair, old age hunch on her back she looked too old to work. With red kukum on her forehead, she looked cute though. With her earning capacity gone with age customer had to bend and shout in her hear. There was this gentleman who priced the flowers, obviously it’s was not flowers he was interested, may be the old lady’s age melted his macho heart. With little flower in basket her prices seemed unreasonably high but he didn’t care instead he opened his wallet the pulled out the amount without a second thought. 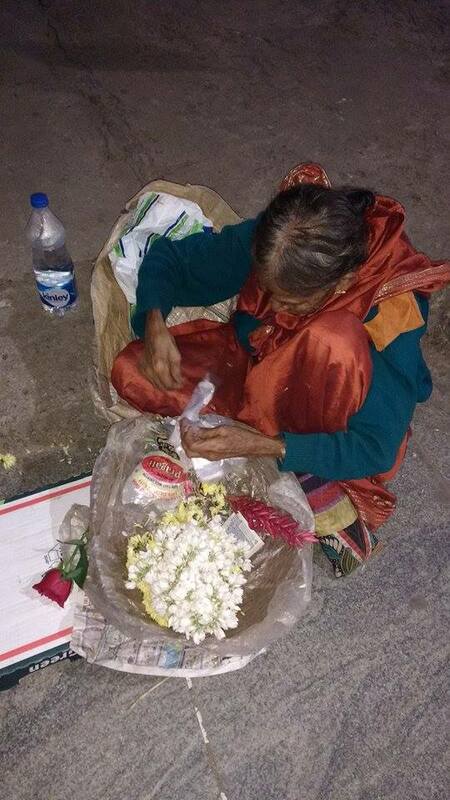 Old ladys hand shook while packing the flowers in a polythene bag. Old lady’s face lit up as her straw basket was empty; she could go home and rest. Bending over the basket she started counting the money. “This is for you Ajji(Grandma)” saying same gentleman thrust a red rose in her basket. She is old; she has her family who loves her and takes care of her, still she works. She doesn’t take her old age as a barrier instead she takes it as a challenge. She values the freedom of being financially independent at this age.Hats off to you Ajji.